One reason why people come to Austria is to study music - mostly performance, but also theoretical aspects of it. Music universities, academies and conservatories have an internationally good reputation and attract students from all over the World. In fact, Austrians make less than half the student′s population in these institutions. There are four academic conservatories that are particularly well-known; here I give a short introduction to them. If you are a prospective tourist interested in affordable concerts, checking their websites for performances might hint to a good deal. Of course I have to start with this one, right in the centre of my hometown. The Mozarteum Salzburg (www.moz.ac.at) is responsible for many happy evenings that I spent in Salzburg as an undergrad and one of Austria′s most famous music universities. It was founded in 1841 as a music school, which was part of a society ("Dommusikverein und Mozarteum") which aimed to preserve the musical tradition and memories of Mozart. If you have ever been to Salzburg, you will have noticed that they have done a pretty good job on that. In 1939, the Mozarteum Orchestra branched off the music school and became an independent entity. 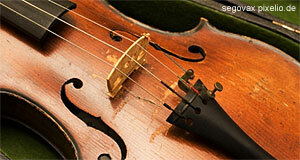 In 1958, it was made the symphonic orchestra of city and province of Salzburg. The Mozarteum Music School was transformed into an academy first in 1970 and an Art University ("Universität für Musik und Darstellene Kunst", a legal formality) and teaches music performance, musicology, fine arts and acting. It is best known for its classical performance training and provides its theatre for the Salzburg Festival. A little known fact is that one specific course includes a thorough training in yodelling (it took an encounter with an Englishman in Cambridge after leaving Salzburg to learn about this myself). The "Anton Bruckner University", (www.bruckneruni.at) as it is more commonly referred to, was named after the romantic composer Anton Brucker, a local hero in Linz and St Florian. The university traces its roots back to a school from 1799 or 1823 (surely only to piss off Salzburg′s Mozarteum), but was made an academy in 1932 and named "Bruckner Konservatorium Linz". In 2004, it was officially recognized as a university with a private status. Despite of the private status, which is unusual for Austria, tuition fees are lower than at public universities and more or less symbolic (200 Euros a year). This University that found the handy acronym „KUG" (www.kug.ac.at) traces its roots back to a society, the "Akademischer Musikverein", which also founded a school for teaching music. It lives in the Palais Meran and became a conservatory run by the federal province of Styria. In 1963, it also had fine arts in the curriculum and was made an academy, run by the republic. Only seven years later, in 1970, it was made a university and underwent some more legal reforms (like all art and music unis in Austria). Today, there are about 1,500 students enrolled at the KUG. It has a good reputation for its Jazz department and ranks highly in "student popularity" among Austria′s Unis. This is likely to be one of the reasons why the number of applicants is constantly increasing. The somewhat strange name of this institution means „Conservatory Vienna Private University" (www.konservatorium-wien.ac.at). Fortunately, they don′t teach grammar but music, music performance, dance and drama. It is the only university in Austria with a course entirely dedicated to Ancient Music, Musical Theatre and Ballet. There are about 850 students and 250 teachers at this institution. The Konservatorium Wien is derived from a school for music founded in 1938. Teaching was re-established in May 1945, despite of severe damages of the school′s buildings. Administered jointly with a school for children′s singing (Kindersingschule) and general music schools, the conservatory was isolated in 2004. It became a private university in 2005.